Anil Sonaji Gawade from Puna, B.E. - B.Tech Graduate. Working for : Accel Frontline Global IT Services, Chennai. Currently working as Atabase Administrator at Accel Frontline Global IT Services, Chennai. MYSQL DBA HIGH AVAILABILITY DB PERFORMANCE TUNIN.. DB BACKUP SHELL AND PERL SCRIP.. LINUX OPEN SOURCE APPLICAT..
are one of expert skill area's of Anil Sonaji Gawade . 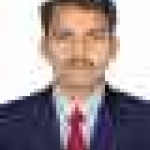 Anil Sonaji Gawade is working in IT Software industry.